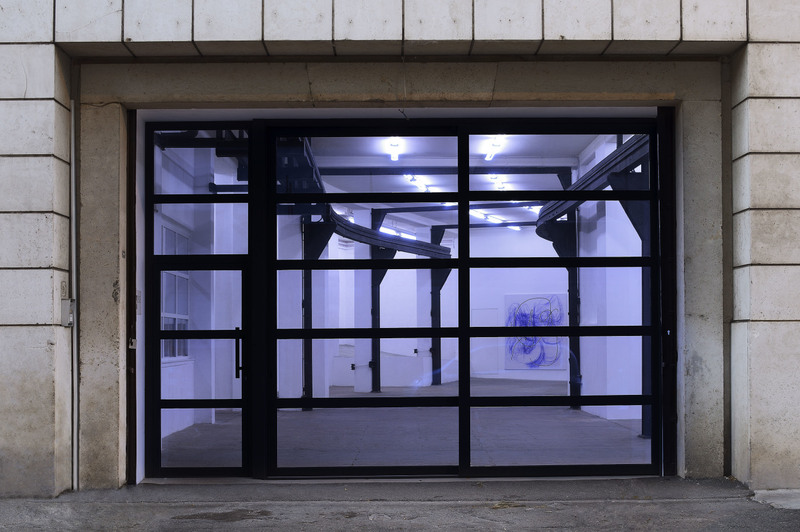 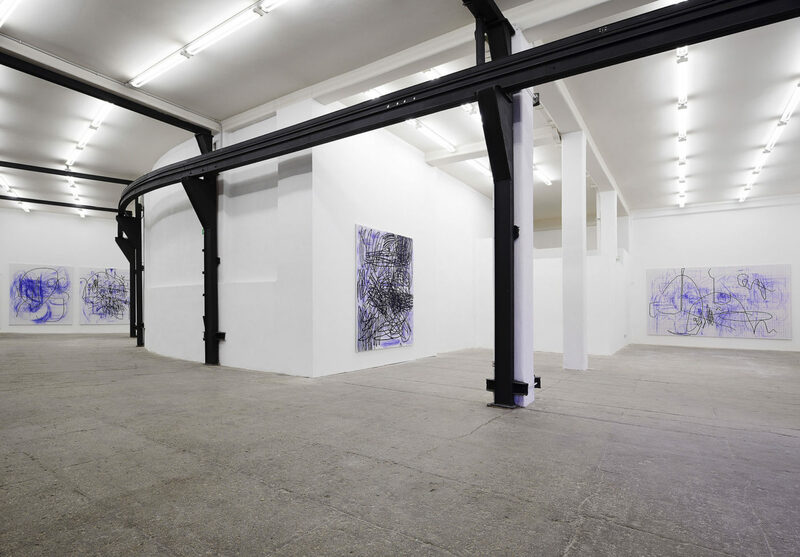 T293 is pleased to present Spontacts FX, the first exhibition at the gallery of German artist Jana Schröder. 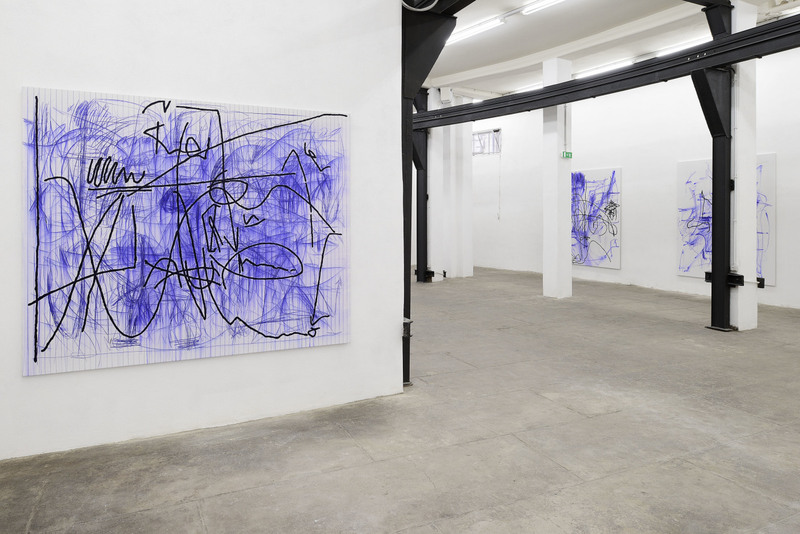 The exhibition brings together a selection of new works by Schroeder that further develop the artist’ aesthetic research upon painting as performative practice, as well as upon the interaction between colours and light. 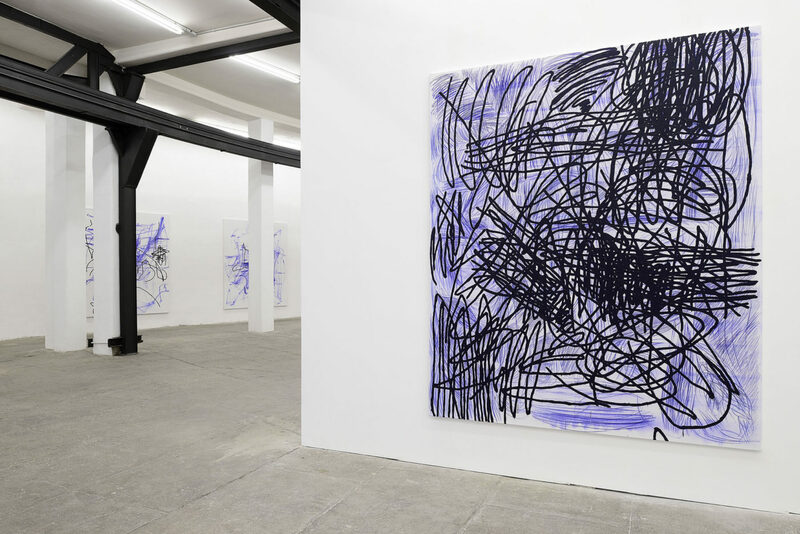 All belonging to the series of paintings known as Spontacts, the new works by Schroeder look like the visual records of spontaneous and liberatory gestures. 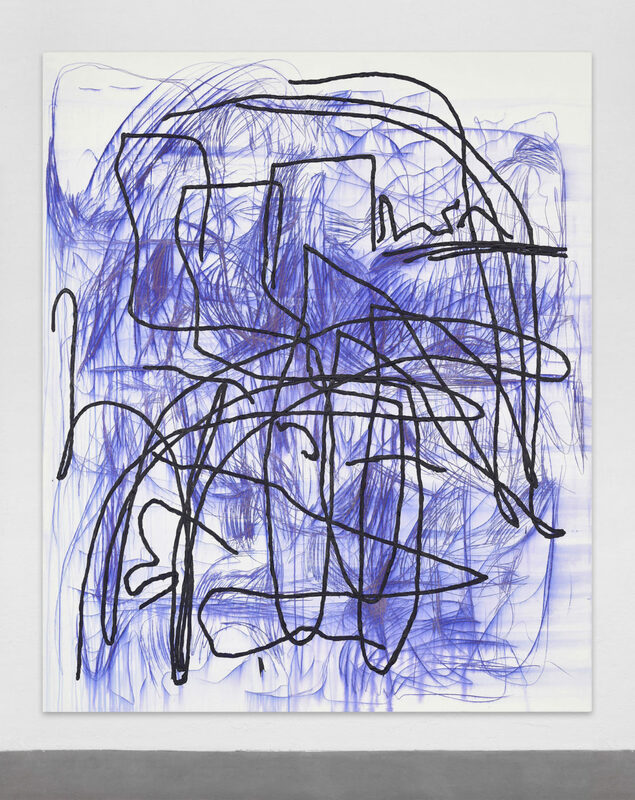 Such gestures take the form of irregular lines and curls weaving slovenly on large format canvases, and undeniably put forth the idea of an unconventional and even rebellious approach to painterly practice. 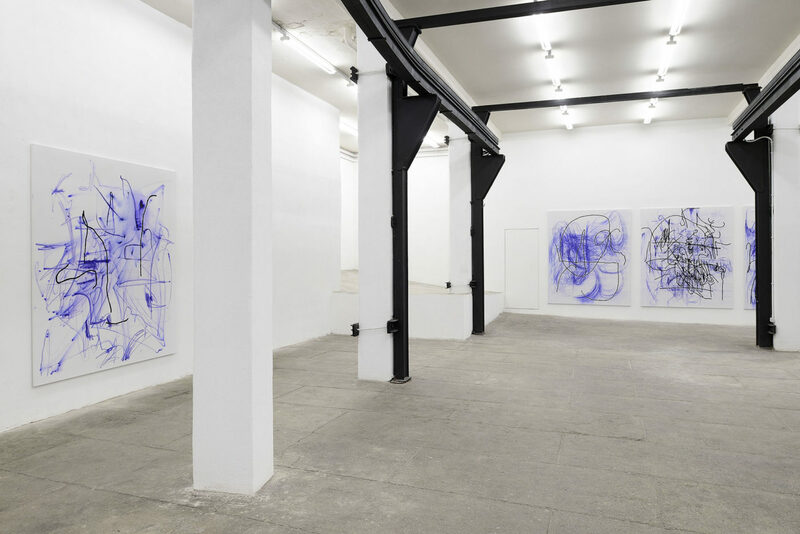 Looking like doodles or hastily handwritten notes, these works are all realised with oil paint and copying pencil constantly overlapping and each influencing the chromatic perception of the other. 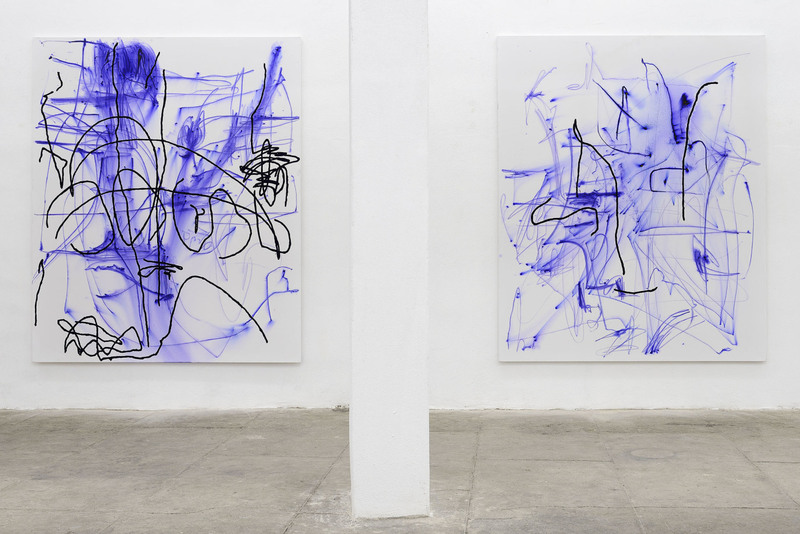 The spontaneous and impulsive content of these works betrays the painstakingly processual aspect that characterises Schröder’s practice. 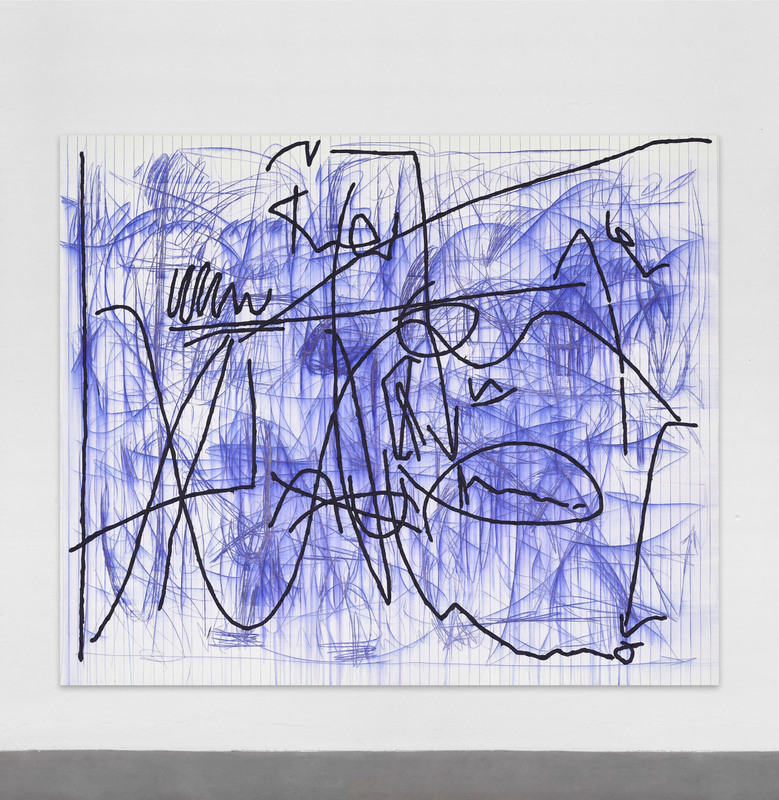 Indeed, all these confused forms are the result of different layers of copying pencil, whose finer lines are then re-worked, implemented or even revoked by the more concrete and slow-moving painted marks. 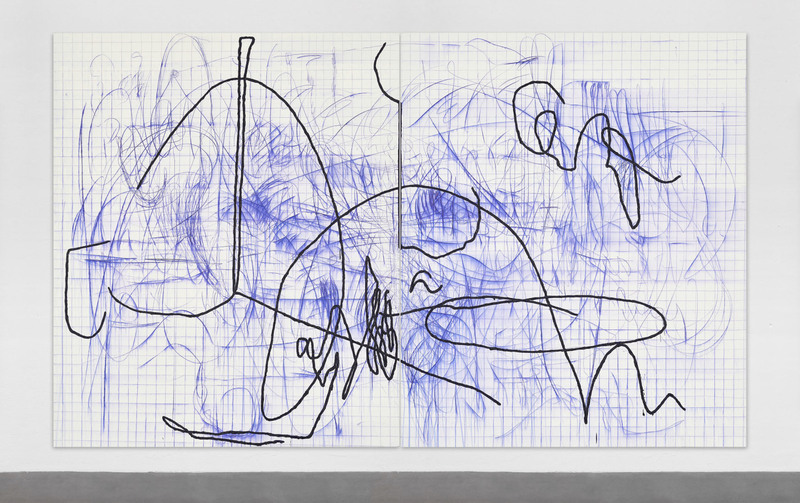 This way, different temporalities are engraved onto the canvas’ surface. 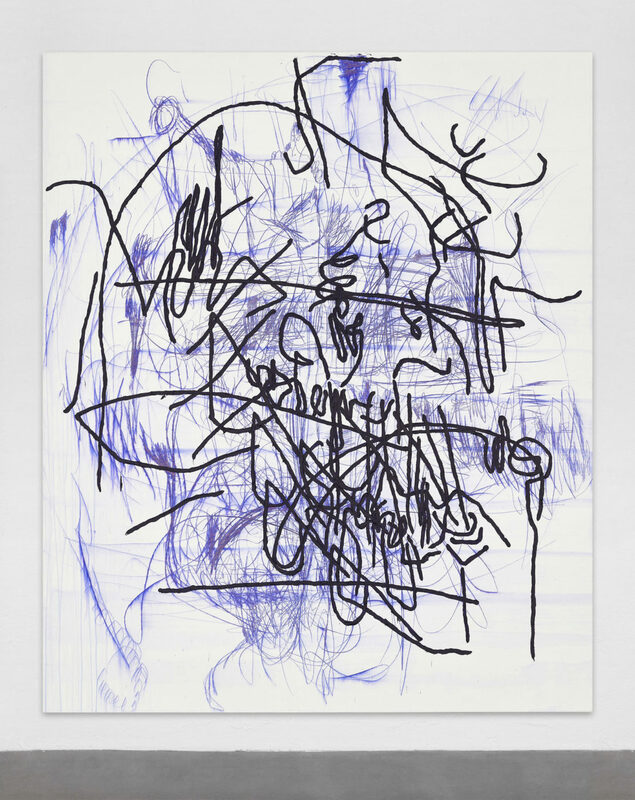 Yet, such temporalities are not exhausted by those marks, as the chemical properties of the copying pencil allow these signs to slowly fade away when they come into contact with UV-rays. 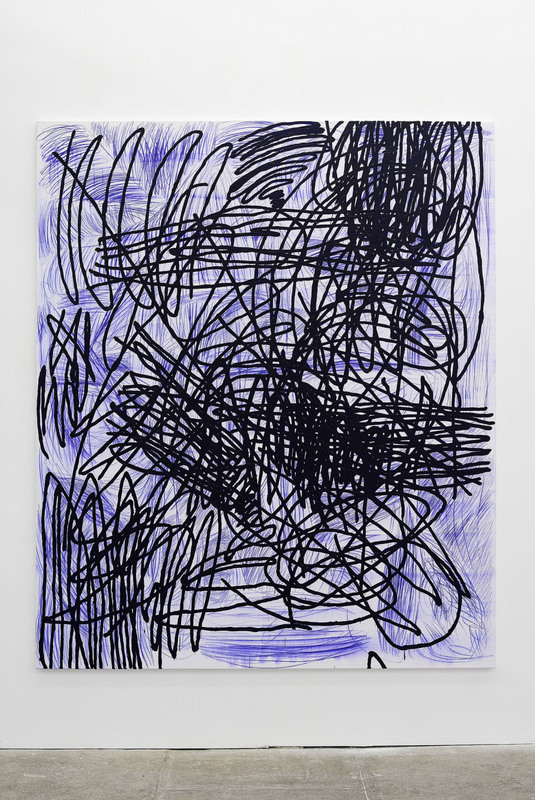 Applying oil paint as ‘last layer’, the copy then becomes the original, although in an almost monochromatic version. 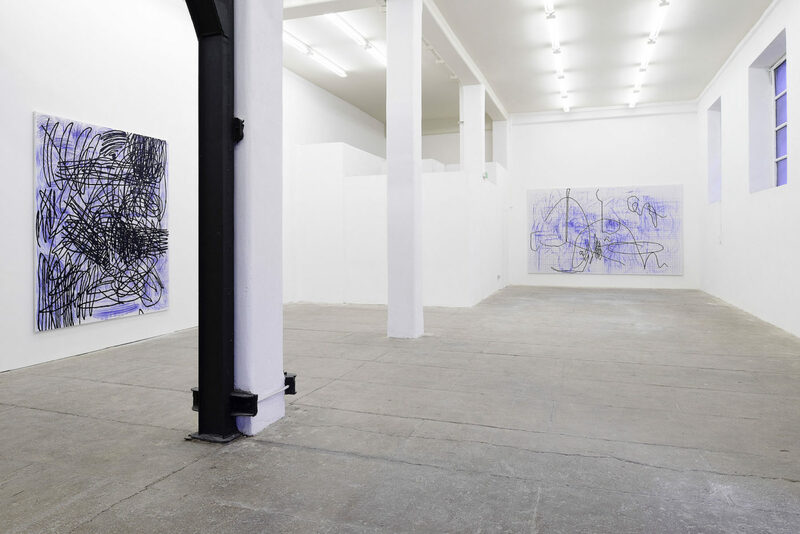 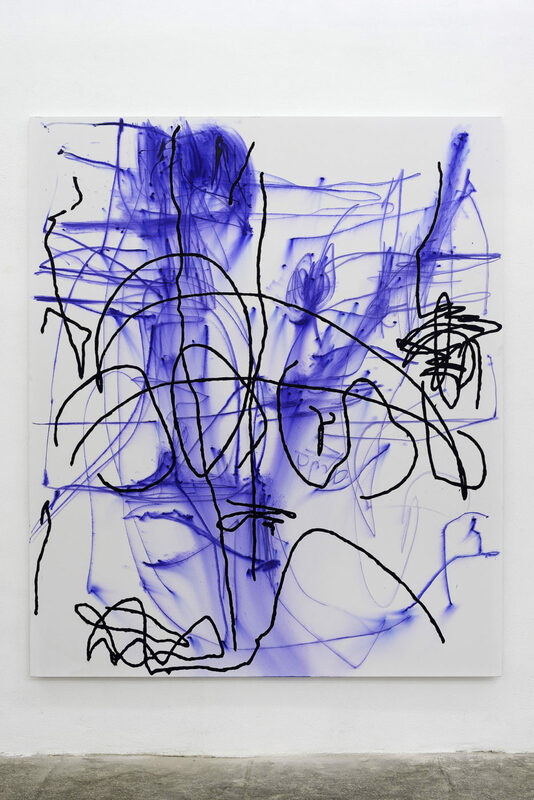 Addressing the legitimation of contemporary painting, these oeuvres do not only produce new meanings through the gestural abstraction processes that are behind them, but also by the means of their reference to everyday humble acts such as handwriting and scribbling. 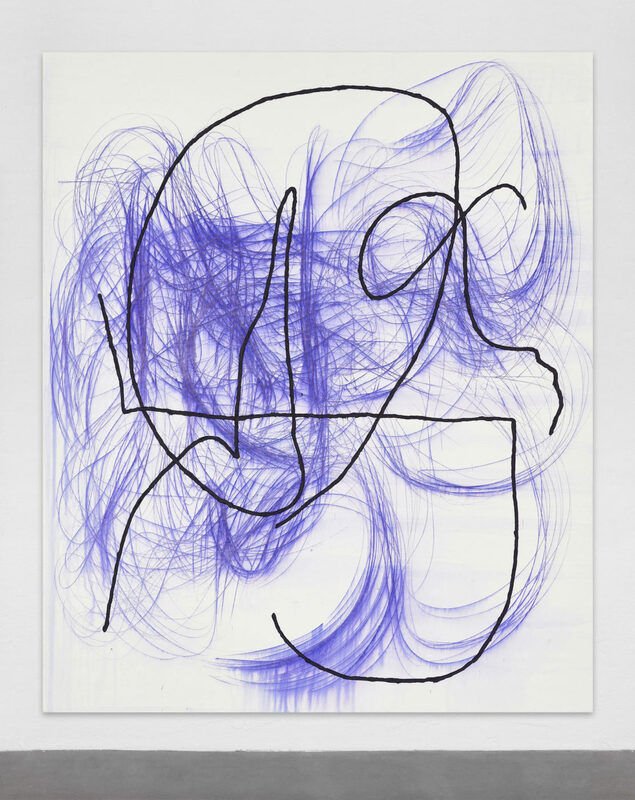 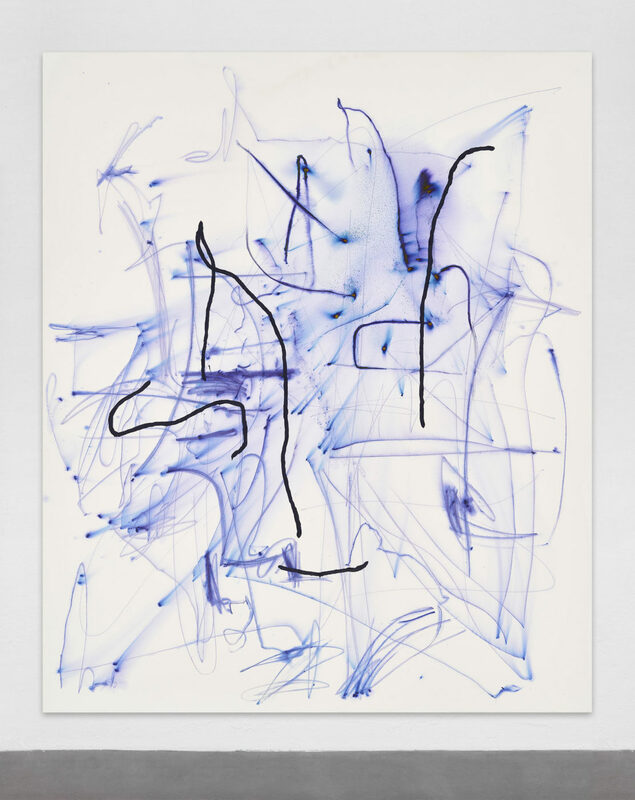 The purity of forms like lines and curls help Schröder to further investigate the materiality of such gestures, and to focus on what happens to those marks when they become unreadable. 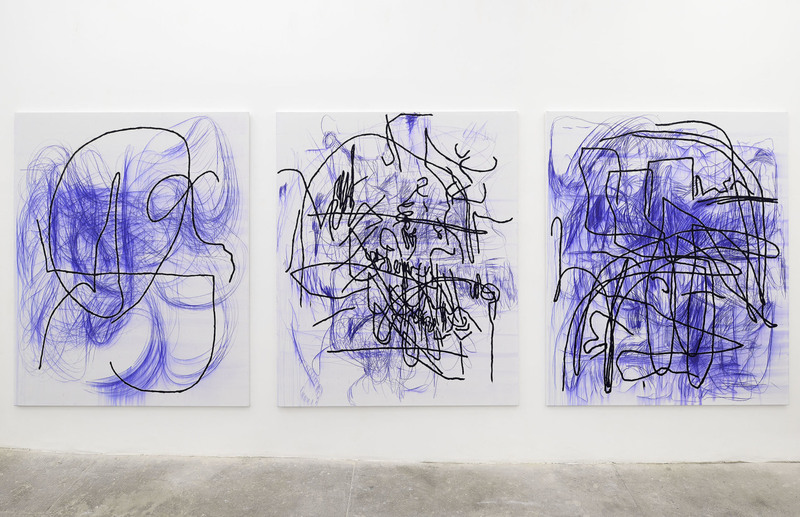 With Spontacts FX, Jana Schröder moves a step further in her quest to develop a new aesthetic language that is based both on the energetic overlapping of layered marks and on the capacity of the artist to play with that which is out of control: like the chromatic metamorphosis each painting goes through from the moment of being exposed.